Hunter Maritime Acquisition Corp. (NASDAQ: HUNT) shares climbed 96.9 percent to close at $18.41 on Monday. Avaya Holdings Corp. (NYSE: AVYA) gained 32.35 percent to close at $17.51 following media reports the company is considering a leveraged buyout offer around $20 per share. 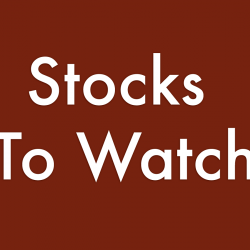 Catalyst Pharmaceuticals Inc (NASDAQ: CPRX) shares climbed 30.35 percent to close at $5.24. Axsome Therapeutics, Inc. (NASDAQ: AXSM) shares rose 25.69 percent to close at $16.34. Yirendai Ltd – ADR (NYSE: YRD) shares surged 15.72 percent to close at $13.25 after the company agreed with CreditEase to acquire certain business operations, including online wealth management. The company also reported mixed Q4 earnings. Check-Cap Ltd. (NASDAQ: CHEK) shares gained 13.64 percent to close at $3.25. Intelligent Systems Corporation (NYSE: INS) climbed 11.7 percent to close at $32.36. ChemoCentryx Inc (NASDAQ: CCXI) shares jumped 11.46 percent to close at $12.16 on Monday. Conformis, Inc. (NASDAQ: CFMS) rose 11.3 percent to close at $2.6600. Anavex Life Sciences Corp. (NASDAQ: AVXL) jumped 11.04 percent to close at $3.4200. Iterum Therapeutics plc (NASDAQ: ITRM) shares gained 10.18 percent to close at $8.01 after reporting upbeat Q4 results. Spark Networks SE (NYSE: LOV) gained 10.12 percent to close at $13.71. Replimune Group, Inc. (NASDAQ: REPL) surged 9.98 percent to close at $15.10. 3Pea International, Inc. (NASDAQ: TPNL) rose 9.89 percent to close at $7.67. Krystal Biotech, Inc. (NASDAQ: KRYS) climbed 9.27 percent to close at $27.34 after gaining 4.25 percent on Friday. Chiasma, Inc. (NASDAQ: CHMA) surged 9.26 percent to close at $6.02. Orgenesis Inc. (NASDAQ: ORGS) gained 8.8 percent to close at $5.44. Ascena Retail Group Inc (NASDAQ: ASNA) rose 8.41 percent to close at $1.16 after the company announced it has agreed to sell a majority interest in its subsidiary Maurices to OpCapita for an expected $200 million. Trinity Biotech plc (NASDAQ: TRIB) gained 7.92 percent to close at $2.5900. Central European Media Enterprises Ltd. (NASDAQ: CETV) climbed 7.78 percent to close at $3.74 after the company announced it plans to review strategic alternatives. TIER REIT, Inc. (NYSE: TIER) rose 6.99 percent to close at $27.26. Cousins Properties and TIER REIT agreed to merge in a 100 percent stock transaction. Urban Tea, Inc. (NASDAQ: MYT) shares climbed 6.44 percent to close at $2.48. Advaxis, Inc. (NASDAQ: ADXS) climbed 4.2 percent to close at $0.5000 after the company was granted a US patent related to Axalimogene Filolisbac. Viacom Inc. (NASDAQ: VIAB) rose 3.9 percent to close at $26.32 after the company reached an agreement with Directv to continue providing channels. Proteostasis Therapeutics, Inc. (NASDAQ: PTI) shares dipped 67.81 percent to close at $1.31 on Monday after the company said a 14 day study of its Cystic Fibrosis treatment did not show improvement. Recro Pharma, Inc. (NASDAQ: REPH) shares fell 33.85 percent to close at $6.41 after the company's marketing application for IV Meloxicam was rejected by the FDA. The9 Limited (NASDAQ: NCTY) shares fell 20.24 percent to close at $2.0100 after signing a joint venture agreement with Faraday&Future to manufacture, market, distribute, and sell electric cars in China. Key Energy Services, Inc. (NYSE: KEG) dipped 19 percent to close at $3.8800. Gridsum Holding Inc. (NASDAQ: GSUM) shares fell 18.33 percent to close at $2.54. Phunware Inc. (NASDAQ: PHUN) shares fell 17.6 percent to close at $36.65. Motif Bio plc (NASDAQ: MTFB) fell 15.56 percent to close at $1.9000. Neuralstem, Inc. (NASDAQ: CUR) dropped 15.2 percent to close at $0.5082. Neuralstem reported a net loss of $4.9 million, or $0.32 per share for the year ended December 31, 2018 for the year ended December 31, 2018, versus a year-ago loss of $15.7 million, or $1.20 per share. Aqua Metals, Inc. (NASDAQ: AQMS) shares dropped 14.74 percent to close at $2.95. Digital Turbine, Inc. (NASDAQ: APPS) dipped 14.17 percent to close at $3.09. Electrameccanica Vehicles Corp. (NASDAQ: SOLO) fell 13 percent to close at $3.8800 on Monday after declining 8.79 percent on Friday. Neos Therapeutics, Inc. (NASDAQ: NEOS) dropped 12.8 percent to close at $2.86. Criteo SA (NASDAQ: CRTO) fell 12.47 percent to close at $21.98. Bio-Path Holdings, Inc. (NASDAQ: BPTH) fell 12.42 percent to close at $19.25 after climbing 18.94 percent on Friday. DarioHealth Corp. (NASDAQ: DRIO) fell 12.01 percent to close at $0.7180 after the company reported worse-than-expected Q4 sales. Evolus, Inc. (NASDAQ: EOLS) fell 11.95 percent to close at $21.14 after the company reported that it filed for a $250 million mixed shelf offering. Altisource Asset Management Corporation (NYSE: AAMC) shares fell 11.45 percent to close at $30.55. Kandi Technologies Group, Inc. (NASDAQ: KNDI) dipped 11.08 percent to close at $6.10. Kandi Technologies announced restructuring of its joint venture with Geely Technologies. Village Farms International, Inc. (NASDAQ: VFF) shares fell 11 percent to close at $14.56. Akari Therapeutics, Plc (NASDAQ: AKTX) dipped 10 percent to close at $3.69. Remark Holdings, Inc. (NASDAQ: MARK) shares tumbled 9.98 percent to close at $2.12. Veritone, Inc. (NASDAQ: VERI) shares fell 9.87 percent to close at $5.66 on Monday. Sorrento Therapeutics, Inc. (NASDAQ: SRNE) dropped 9.6 percent to close at $5.37 as the stock pulls back from a 155 percent climb in price last week. Riot Blockchain, Inc. (NASDAQ: RIOT) shares fell 9.57 percent to close at $3.1200. Lexicon Pharmaceuticals, Inc. (NASDAQ: LXRX) tumbled 8.71 percent to close at $5.66. Gabelli & Co. upgraded Lexicon Pharmaceuticals from Sell to Hold. AmpliPhi Biosciences Corporation (NYSE: APHB) dipped 7.58 percent to close at $0.30 after the company reported worse-than-expected Q4 EPS. 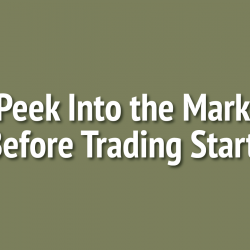 MannKind Corporation (NASDAQ: MNKD) dropped 7.04 percent to close at $1.98. Strongbridge Biopharma plc (NASDAQ: SBBP) shares fell 6.99 percent to close at $4.79.